“Chess is life.” So said the late Bobby Fischer, and it’s an absolute truth for many fans of this ancient game of strategy. 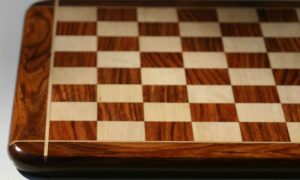 At the Dean of Chess Academy in Branchburg, New Jersey, the mission isn’t only to bring chess into people’s lives; they also want to teach their students life skills through the game of chess. This outlook is one of the many factors that landed the Dean of Chess Academy among our reviews of the best chess clubs in the world. Chess has been a part of International Master Dean Ippolito’s life for as long as he can remember. After winning several national titles, he was featured in articles in both Sports Illustrated and Boys’ Life magazines at the age of 11. He hasn’t stopped playing – and winning – ever since, and has been a top-ranked player in the U.S. for the past three decades. It wasn’t enough for Ippolito to be an elite player; he also wanted to teach others how to improve their chess game. This led him to become a chess coach – a career in which he’s worked with players from newbies to chess champions. He’s published chess books including Chess Tactics for Scholastic Players and in 2011, Ippolito was awarded the Frank J. Marshall Ambassador of Chess Award in recognition of everything he’s brought to the chess world. 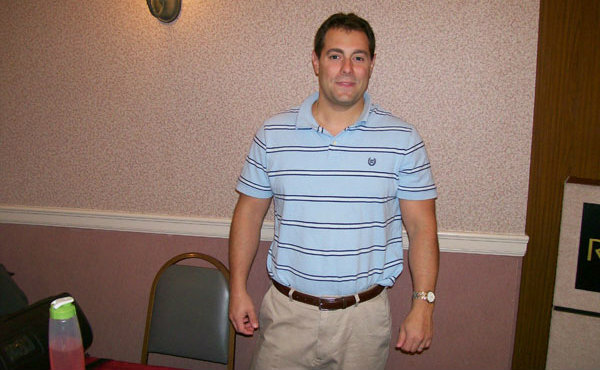 In 2002, Ippolito founded the Dean of Chess Academy. In addition to providing a place for chess lovers to gather and play, this chess club offers a variety of opportunities for players of all ages and skill levels to learn the game, whether they need to start out with the basics or would like to learn more advanced chess strategy. Ippolito has truly imbued the Dean of Chess Academy with his love of the game, which is one of the things that makes it one of the best chess clubs in the U.S. 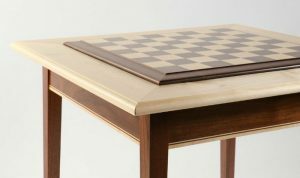 The Dean of Chess Academy is built on the core belief that learning chess has amazing benefits beyond simply being able to dominate an opponent in a match. 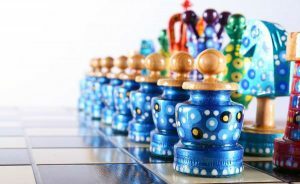 Chess also helps develop critical-thinking and problem-solving skills that move far beyond the chess board and into everyday life. This makes it an essential game for kids to learn, but it’s also great to sharpen adults’ minds, as well. In fact, the Dean of Chess Academy reminds people that chess is an excellent way for adults to remain active – both mentally and socially – as they age. From the very young to the very old, everyone can benefit from joining a chess club and learning the game. The Dean of Chess Academy provides an entire lineup of chess classes and lessons. We’ll discuss those next. 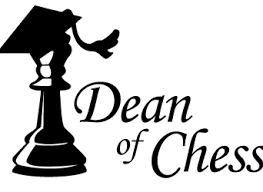 Students at the Dean of Chess Academy range from people who have never picked up a chess piece in their lives or to those who understand the basics of chess, but want to learn more advanced strategies in order to become more competitive. The Dean of Chess Academy offers a variety of opportunities for everyone to become competitive chess players…and with enough practice, even champions! Designed for students age eight and under, the Beginner/Young Intermediate class starts out with the basics of chess before moving into basic chess tactics, fundamentals of opening and endgame theory, as well as other helpful topics for young students who are just starting out. The intermediate level classes at the Dean of Chess Academy are for players with a United States Chess Federation (USCF) rating under 700. If you know the basics of the game and would like to proceed to the next level, this is the class for you. 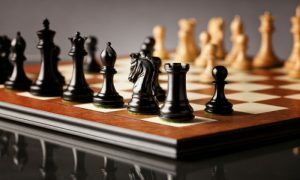 Students will look at more complex middle and endgame strategies and tactics, in addition to studying high-level games and learning to understand development. Advanced classes are designed for students with a USCF rating over 700. These students will have been studying chess for some time and will already have a good understanding of principles and strategies. This class will cover specific openings and more difficult endgames. 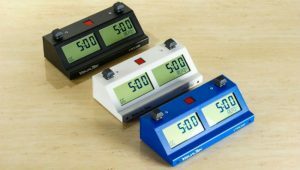 The Beginner and Intermediate classes meet for one hour a week for eight weeks, while the Advanced classes meet for an hour and a half each week for eight weeks. The cost is $239 for all eight classes. If a student registers partway through the eight weeks, they may attend the rest of the sessions at a pro-rated cost. Chess and school is such a perfect match, which is why many chess clubs work hard to bring the game to schools in their area. 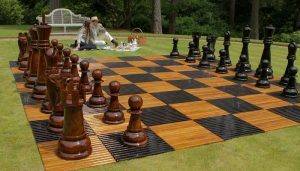 Kids are incredibly receptive to learning chess from a young age, and the skills they learn at a chess board go a long ways towards helping them in all their other scholastic and social endeavors. Dean of Chess Academy after-school chess combines fun lectures with supervised play that allows kids to immediately practice all that they’ve learned. The Dean of Chess Academy also offers chess day camps to students of all abilities. These camps run from 9 a.m. to 4.p.m. and cost $125 a day. The academy hosts various events at which players with a competitive streak can put their strategies to the test. All Dean of Chess Academy events are USCF rated, which enables participants to track their progress via the USCF website (uschess.org). A USCF membership is required to take part in these events. Every other Saturday, the Dean of Chess Academy holds its Kid Quads tournaments. These events pit each player against three others with similar USCF ratings. 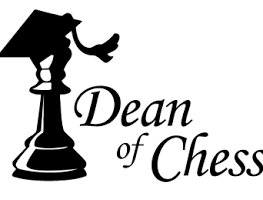 Dean of Chess Academy’s monthly tournaments include four sections: one for players in kindergarten through first grade, one for players in grades two and three, a Championship section for grades four and up, and a Masters section for players with a USCF rating over 800. Early registration costs $35 for non-members ($25 for members), while registration the day of the event is $45 for non-members (and $35 for chess club members). Free for members of the Dean of Chess Academy, League Nights are held every Wednesday and Thursday starting at 7:30 p.m. The cost is $10 per game for non-members, and the academy requests that participants call to register by 7:15 p.m. the night of the league. The Dean of Chess Annual Membership, or Knight Membership, provides members with discounts on classes, free entry into League Nights, $10 off tournament entry fees, and discounts on classes. 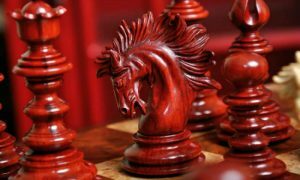 For members who plan to take part in tournaments, a USCF membership is required (USCF membership info is included on the Dean of Chess Academy website and on their membership signup form). We agree that the skills learned in chess are an excellent way to sharpen your brain for situations and problems we meet in everyday life. For students who are ready to become better chess players – and therefore better at life – the Dean of Chess Academy is an excellent place to get started!